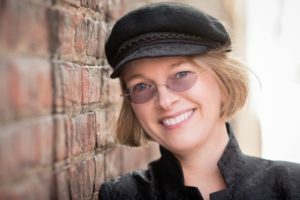 An hour-long conversation with Kim Harrison, author of the New York Times #1 best selling Hollows series, as well as young adult novels, accelerated-science thrillers, several anthologies, and two original graphic novels set in the Hollows universe, plus traditional fantasy, written as Dawn Cook. 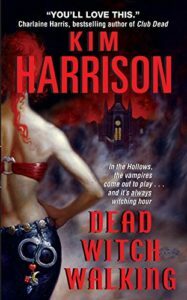 Kim Harrison is best known as the author of the New York Times #1 best selling Hollows series, but she has written more than urban fantasy and has published more than two dozen books, spanning the gamut from young adult novels, accelerated-science thrillers, and several anthologies, to scripts for two original graphic novels set in the Hollows universe. 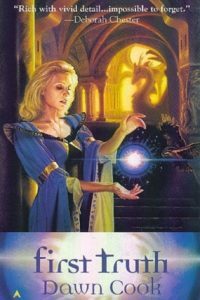 Kim Harrison is a pen name; she has also published traditional fantasy under her real name, Dawn Cook. Dawn was born and raised in the upper Midwest. After gaining her bachelor’s degree in the sciences, she moved to South Carolina, where she remained until relatively recently, moving back to Michigan because she missed the snow. So, Dawn, I always like to start by asking my guests to go back into the mists of time, which is…you know, those mists are deeper for some of us than others…and find out how you first got interested in…well, first of all, I presume, reading science fiction and fantasy, and then how you finally got around to writing it, which we’re all glad you did. Yes, yes, it was reading. I was an avid reader of science fiction and fantasy back in the heyday of the ’70s and the early ’80s, and I read everything, just gobbled it up, and you can see that if you pick my work apart, because I try to pace everything like a good science fiction novel, ’cause I think that’s the way all stories should read. But, yeah, it wasn’t until later that I thought I could actually make a go at writing. So, I did not take any classes for writing at all. I avoided it like the plague. I’ve got a science degree, actually, and I use it every day, and my dad says, “You’re kidding! You went to school for science and now you’re writing,” and I say, “But, Dad, I use my degree every single day. But when I did decide that writing was something I wanted to do, I had a big learning curve that I had to handle because, like I said, I didn’t take any classes and I still, you know, I talk to literary people and they start spouting things like “the fourth wall” and I star at them blankly because I have no clue, I have to go Google it find out what they’re talking about. But a good story is a good story and if you can get it down, you know, more power to you. It wasn’t until I got to move down to South Carolina and I found a writers’ critique group that…oh, it was dedicated. It was my Camelot, actually, because we’d meet every single week and we’d all get a chance to share our work. And I made the connections there that allowed me to break into print and hone my work and toughen up my skin. If it wasn’t for them I don’t think it would have happened. But they’re really hard to find these days. Yes, and of course,, when I teach writing and when people ask about writing groups, I always say that you have to be careful, because if you have writers in the group and you’re all at a kind of a beginner level, you don’t help each other as much. You need to have people who are at a higher level than you, perhaps, to help lift you up. Yes, yes. And I was fortunate enough that there was somebody like that. Now, what were some of the books that you read as a kid that kind of drew you into this? Oh, Anne McCaffrey was a favorite early on. I read a lot of Isaac Asimov. I didn’t understand him at the time, but I read him. Ray Bradbury was my favorite, back then, because he was the first person who showed me that the worst monsters are the ones that live next door to people. People are monsters…well, they can be. So I read a lot of Ray Bradbury. Jack L. Chalker, loved his stuff, so probably a lot…I’ve got a lot of old names here that people are going to be scratching their heads over…Aspirin, Robert Aspirin. He actually went to school, college, near my hometown, so I got to meet him when he was thin and gawky and just starting out. That was a thrill. Well, they don’t have me scratching my head because I think I’m a couple of years older than you are, so it’s right in my era as well. I’ve read many of those same books. Now, you mentioned that your degree was in science. What specific discipline? Well, I’ve got a degree in science engineering and technology, but I basically ran the the…I worked in the labs and I ran the greenhouse as a work study program. But mostly biology, mostly botany, and I am an avid gardener. You know, it’s hard to find a job in the sciences. My first job was at Dow Chemical and I was chaperoning an experimental fiber. I like to tell people that’s where I learned how to type because I didn’t know how to type until then, but, you know, I’ve had really weird jobs. My favourite job was running live-animal traplines for two years, catching chipmunks and mice for a research project for one of my professors. Saginaw Valley State University. That’s in Michigan. Is that where you grew up, in Michigan? Yes, I did. I grew up just outside of Ann Arbor, Michigan, and went to school at Saginaw Valley State University and then moved down to South Carolina for about 13 years following my husband’s job. And we recently–I say recently but I think it’s been like 10 years now–we moved back to another small town outside of Ann Arbor and it just feels like home. It’s really nice to be back. So, tell me a little bit about the the first book that you broke into with. The first book! It was a traditional fantasy called The First Truth and it’s still in print, actually. Tt was the first one of a four-book series and it was…oh, I had everything in it. I had telepathic dragons that could shape shift all in a pre-industrial setting with dragons and wizards and that kind of thing…”and I know they’ll love it!” I went back recently to look something up, a reader had a question, and so I was thumbing through it and I got lost for an hour reading it and it was like, “Oh, yeah, I remember that, oh, yeah, it was so fun.” But yeah, that was the first thing actually that I ever wrote, to tell you the honest truth, because I didn’t write when I was growing up. This particular novel idea came to me when I was like 13 or 14 and I wrote it down when I was in my early 20s and I wrote and rewrote it and rewrote it for about four years and that’s what I honed my writing skills on. A lot of people, I’ve noticed, will write a lot of different manuscripts when they’re honing their skills and try out a lot of different ideas, but I just worked on the one manuscript trying out different things until I found what worked for me. And that was the one you were working with the writers group? What kind of feedback did you get from them that was helpful? Well, the first one…one of the very first things that somebody said to me was, he leaned back, he put his hand on his hip, and he said, “This is what you’re going to use to break into print?” And I leaned forward, and I said, “Yes, it is absolutely.” I don’t want to make it sound like they were not supportive because they really, really were, it was just something very different from what what he was writing. And so, in another book that I wrote I killed him off. But it was all in fun. But, yeah. That’s the one thing we get to do, legal. So how did you go from that…how did you break in? How did that book come to the attention of publishers? That one…well, I found an agent at a writer’s conference, and he took it on and said, “If you can do this, this, and this, I will see about, you know, I will take you as a client and I will see about getting it published,” and so I did this, this, and that, and about a year or two later it was. 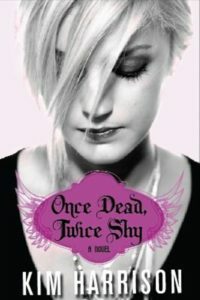 Now, the Truth books, they did OK, but it wasn’t until I wrote, I started writing an urban fantasy under the Kim Harrison name that I really broke into print, really in a big way. And that one was just a natural extension of taking what I like to write,,,what I like to read, which was the science fiction, and what I like to write, which was the fantasy, and merging the two. Which is kind of what urban fantasy is, you take your fantasy creatures and put them in a modern-day setting. And this was right about the time when Jim Butcher was just getting started, and Charlaine Harris, I think she only had, like, two books out, and Laurell K. Hamilton was really the front runner for the urban fantasy. So, I was getting in on the bottom row of the first tier of the big urban fantasy authors. Yeah, it’s hard to think that, you know, say, in the ’90s, nobody ever heard of anything called urban fantasy, really, it’s all quite a new subgenre of the field. So, I always get asked this because I have a couple of pseudonyms…in fact, there’s an episode of The Worldshapers where my pseudonym, E.C. Blake interviews me, Edward Willett, which was fun. He sounds a lot like me, only he has a southern accent and I don’t. Anyway, people always ask me, you know, why do you write under a pseudonym? And I have my answer but I’ve already done that in my interview, so, how did your pseudonym come about and why did you use it? The Kim Harrison pseudonym came out because I switched publishers, and the easiest way to switch publishers is to take on a pen name. At the time, the Dawn Cook books were doing okay, but a publisher is kind of leery of starting up…a new publisher taking on an established author is carrying the weight of the numbers of the last book, unless they take a pen name. And sometimes they’ll take a pen name because book buyers will buy more books from an unknown author than they will one that already has an established track record. Like, if you’ve only sold 10,000 books under your old name, they’ll only buy 10,000 books if you keep that name. But if you change your name, they might take a chance on it and buy 20. So, there’s a numbers game, there’s a legality game because, you know, my original publisher only had the first-look rights to anything written under Dawn, so I was able to make a clean break and go forward as Kim with my second one. Also, there was the issue that it was a new genre and my new publisher wanted to create a new persona to push these books. And so, I got a wig and I wore leather a couple of times and had a really good time stretching in my skin and becoming Kim, so to speak. Now it’s funny, because I’ll run into people who know me as both, and sometimes I’ll get called Kim and sometimes I’ll get called Dawn, and it might seem confusing, but people have different names–you know, there’s mom or sister or wife. It’s all the same to me, although I know some people are really fussy about their pen names and it’s like, “No, no, use this name,” but I go by anything. Was it a secret for a while? Did you ever do any acting when you were growing up? Oh, I am terribly shy. I…well, yeah. I’m really, really shy and so acting was not ever on my horizon. So, no acting, no. But, you know, I daydreamed a lot, and obviously you use those same muscles when you write. Yes. One reason I ask that question is because, you know, the pseudonym thing is a little bit like acting, but whenever I talk to–and I act, I’m an actor as well–whenever I talk to authors who’ve done acting, we all find that we are using basically the same mental muscles, because you’re pretending to be somebody else, basically. Right, right. And, actually, it did help out quite a bit when Kim Harrison name, titles, and books got more popular and I had to do more presenting and I had to do more public appearances. It was nice to have that persona to fall into where I could be more confident and be more comfortable being confident. Now, I don’t need all the trappings that go along with it, which is really nice. Now, you’ve got books published by more than one publisher, do you not? Yes. Yeah. I have a couple of graphic novels out through Del Rey. I’ve got my fantasies, which are under Ace. I have the Hollows, which is under HarperCollins, and Perfection, which is under Subterranean Press. We’re going to talk a little bit about the editing process later, so maybe I’ll save the next logical question for when we get to there. Well, we are going to focus on your brand-new book, um…Perfunctory Affection. Yes. I call it just Perfection because it’s a mouthful, but yes. Well, and of course the typography they use for the title highlights the Per and Fection so that you get that Perfection when you look at it. And that ties into the story, of course. I’m going to get you to do a synopsis of it, so I don’t give away something you don’t want to give away. Oh, well, that would depend on what kind of day I’m having. At its basis, it’s about Meg, who’s dealing with post-traumatic stress disorder from a couple of accidents in her life. And she is an artist and she’s poised to take the art world by storm if she can get over her debilitating anxiety. She teaches art at one of the local universities and she’s working with a psychiatrist, too, to get through this. And she’s getting better, but she meets a couple of people who seem, you know, perfect. And her psychiatrist puts her on a new medication that makes it easier to deal with the stresses in her life, and her life seems to be turning around, and then her boyfriend starts to appear to be controlling, and not in a good way. I mean, he’s kind and he’s nice, but he’s making it easier for her to not become the person that she wants to be. And the doctor herself, she starts to look a little gray, and the waters get muddier and muddier until you’re really not sure what happened when the book is finally over. And that was my goal, to have the reader finish the book and close it and say, “Did that just happen, or did she just imagine it?” And so, I hope that’s the way people feel when they finish the book because that’s something new for me, and I am really glad I had the opportunity to try to write that. Yeah, I did find that interesting, you know, I would decide that something was real and then I’d think, “Wait a minute, maybe it wasn’t,” all the way to the end, so, yes, I think you accomplished exactly what you set out to accomplish. What was…well, specifically, what was the genesis of this book, but more generally, where do book ideas come to you from? This one…this one I think came from–a tiny little nugget came from my husband, who drives me around and makes my life very easy. He’s…I want to say he’s the perfect house-husband without him feeling bad about that, because he does make my life easier and so I’m able to avoid the things that I don’t like to do. So, there’s a tiny nugget of that in there, but most of my book ideas come from what I’m dealing with on a daily basis, where, you know, I’m not dealing with vampires and werewolves, you know, and I’m not trying to solve crimes, issues that she deals with on an emotional level and there’s a couple of other books…oh, my Drafter series! 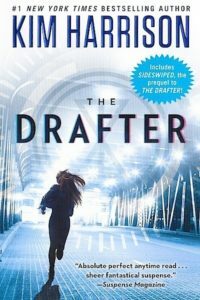 I forgot all about my accelerated-science thrillers, the Drafter books, where the main character, her ability when she uses it in her job, her magic ability, it takes chunks of her memory so it can be debilitating. And, you know, I’m dealing with a parent who’s losing chunks of their memory, so that impacted me and I wanted to write about and try to find a way to deal with it by working with it on a daily basis in my books. And you know, I have another series, that’s not published, about a woman who is at the top of her game, and then a medical issue comes and takes everything that she’s, you know, sacrificed for away, and she has to find a way to get the job done without that ability and find a new meaning for life. And, you know, everybody loses things. And so, that comes into my work and I put it in there. So, the kernels of the story, besides the saving the world, what’s going on with the character, that comes from things that are, they’re hitting my life and making my life challenging, and ways for me to overcome my own obstacles. So, it’s very much…maybe I’m a method writer, I guess maybe you’d call it, by taking in what what’s around me and internalizing it before I can, excuse me, word-vomit it all over the place. But that’s where my ideas come from. The saving the world is secondary, it’s always the character development and the characters that pull me to my desk every day. So, once you had this initial germ of an idea, how did you go about developing it? What kind of an outline or planner are you? Oh, I have a really good balance of plotting and pantser. I used to think that I was strictly a plotter because I do outlines, and I love my outlines, and I don’t like starting a book until I have it all sketched out. And it’ll take me a couple of weeks, and I’ll start with a real quick synopsis, which grows into a three-page, and then I break it down, and I have a page per chapter–but I never hold to it. Usually about page 100 I’ve made enough changes that I have to rewrite my outline, and right about page 300 I throw my outline out and I just pants it to the end, knowing I have the goals. The goals are still there, but how I’m getting there shifts. But it’s always…the actual, when I sit down and write, it’s always dialogue first, and I’ll spend the day writing out the dialogue for a chapter, and it kind of looks like what I imagine a script might, with a little minor directions of character movement and whatnot, but it’s mostly dialogue, and if I don’t have that dialogue I start wandering off track. So that keeps me on point and I get to where I’m going that way. It does actually sound like you should try writing plays. My dialogue chapters look a lot like a play, yeah. Now, you’d said that it’s the characters for you that drive the story forward and bring you back to it. How do you find the characters that you are going to put into your story? They…the main character usually grows out of the issue that I’m dealing with. The supplemental characters come from the story itself, to fill a need, whether it be a romantic interest or a platonic relationship or of something that just brings out the issue that the character is dealing with. I find that my antagonists are often more interesting and fun to watch than my protagonist. I really enjoy my antagonists. I have very few that are fully bad. I think I have a vampire who’s totally irredeemable but most of them are redeemable. Most of them don’t get redeemed. If you’re familiar at all with the Hollows series, Trent Kalamack was supposed to be my big, bad ugly through the whole series but about Book 6 Rachel began to understand where he was coming from and that his purpose was noble and at that point she either had to kill him or start to really understand him, and by the end of the series…well, it’s not ended, actually there’s another one in the works…but by the original ending he was a love interest, and it worked. I mean,, it took a long time to get there because I like my relationships to be believable, but I did make him go from an antagonist to a protagonist. Did you know that was going to happen when you started the series or did that happen along the way? No, I did not. I wanted my hero to be the poor, downtrodden, wickedly smart man and my villain to be the really wealthy, rich kind of snobby boy, which…and it turned out all wrong. The readers…I do not write romance but because I pay so much attention to relationships I have a really wide following in the romance area, and my romance readers, they told me first, they said, “She should be with Trent,” so I explored it my mind a little bit and I said, “Yeah, you know what? You might be right.” And it took several books to believably turn that around—but I’m glad I did! Now, when you are initially designing characters, do you do detailed character sheets or is it more you have an idea and it comes out on the page as you write? It’s a little of both. I do have character sheets. They’re very messy, they’re handwritten, and they’re only there so I don’t make a mistake and have somebody with eyes blue in book and brown in the other. But it was a real problem when I went to do my world book that I didn’t have more details on my characters. But most of them develop like you get to know a person, you know, surface stuff and then a little deeper and when you see them at their worst point, you know, the really core of a person comes out, and that’s, I think, my favourite part. This particular book, Perfunctory Affection, has a very tight point of view. You’re in Meg’s head for the entire time, which, of course, I think the kind of book it is that pretty much was the only way you could tell it. Is that typical or do you do different points of view over different books? Well, my first book was third, and I wrote in third person for quite a while and I enjoyed it, but it was a fantasy and you kind of need that to manage the scope. The Hollows books were written in first person, which is what most urban fantasy is because the readers like the intimacy of it, and I found I had to almost re-learn how to tell a story from a first-person point of view because, like I said, I like my villains, and I wanted to see them and get to know them, and it’s harder when you’re in only one person’s point of view. However, it does give you a more intimate feel, which I really like. And the Hollows books were, they’re kind of detective, so it fits. You can do it, it works. I’m writing in third person right now, on the work I’m working on currently, but I think first person is my favorite just because of that intimacy. Did you consider it for Perfunctory Affection? Yes, it’s entirely very tightly in Meg’s point of view. I didn’t think I had anything in there from third. It’s as tight in as if it was first person, but it’s written in third. And, yeah, what I found interesting, because of the and…as I said I think it almost…okay, if I had been writing it I wouldn’t have done it in first person, either. Therefore, I think you made the correct decision. Okay. Seriously, it’s been so long I don’t remember actually what…but now that I think about it, it was third, wasn’t it? But it was all her point of view pretty much. Yeah, it really had to be like that. Yeah. What’s your actual…well, one question before we get to that. Meg, in this story, is an artist and you’ve mentioned you’ve done some art, and there’s some other…you know, what kind of research do you do going into a book? Um…that’s tricky. I don’t do a whole lot of research. I don’t like falling into that research trap. If a place setting is important, I will do a lot of research on a place. The Hollows books take place in Cincinnati ,and I know Cincinnati better than my hometown, you know, I’ve been in the tunnels, I’ve been on Carew Tower, I’ve been on the streets, and I’ll spend a week there if I need to, but before anything else I prefer to spend, like, maybe an hour or two online to get an idea of how I need to tackle this or move forward in it, and then I just go. And maybe research as you encounter things along the way? Yeah. Most of my research, if you can call it that, is just done by living. You know, I’m constantly taking things in. I’m constantly weighing them in my mind. I’m constantly trying to figure out why this is that way. And I’ll come out to my husband and say the weirdest things, like, “I think she turned around and went the other way because of blah blah blah blah blah.” And that’s how I live my life. I’m always trying to figure out why people are doing things the way they are. And that’s pretty much most of my research. Like, I didn’t do a whole lot of research on anxiety…well, I looked it up to find out what the symptoms were, you know, that kind of thing, but no, not a whole lot, to tell you the honest truth. The question went out of my head that I was about to ask…oh, yes. So, you were talking about the researching, you know, basically by living, and you have done, as you said, a lot of different and interesting kinds of jobs, and you have that science degree which which you say you apply. How does all that feed into your work? Oh, a lot. I look very analytically at most problems that appear on the page. I use science quite a bit. I tap into DNA as being a reason for the way things are. When I’m designing creatures like vampires and witches and pixies and and stuff I will pull on my biology background and say, “Well, it’s a pixie, it’s small, that means it needs a high-energy source, so it’s probably feeding on nectar, which means it’s going to hibernate or migrate during the winter. It’s going to have a, you know, low cold tolerance.” So, you know, it just builds on itself like that. So, that’s how I use my biology degree mostly, but I do like the beauty behind genetics and, you know, I’ve recently looked back at my body of work and I’ve got genetics in that first fantasy series that I did and I touch on it in the Hollows books and it just keeps popping up here and there. You know, it must be on my mind. What’s your actual writing process look like? Do you sit in an office and type, do you work in a coffee shop, do you hand write, how does it work for you? Yeah, I do, I sit in the office. I am lucky enough now to have a office that is six steps away from my back door. It’s a stand-alone octagon. I’ve got windows on all eight sides of me, and I’m basically sitting in a glass box in the middle of my garden. And, it’s been a, you know, when I’m out of my office I’m landscaping the area that I’m looking at and when I’m inside my office I’m head down over the keyboard. When I’m working on plotting there’s a section that’s handwritten, but then I graduate to typing, fairly rapidly now, and then it’s all on the keyboard. I like to work at my office and then…so that when I leave my office I can separate the book world from my real world, and if I have a physical, you know, shut-the-door sensation I think it makes it easier. I think most writers are working all the time whether they know it or not. But being able to shut the door and walk away has helped me divorce myself from whatever issues my characters are working on–because it can spill over into your everyday life if you’re not careful. I have tried working other places. I recently was in Tucson for two months and I developed the ability to sit outside in the sunshine and work on a laptop instead of in my office off a keyboard, so, you know, I can be flexible, but–I don’t want to say it’s a nine-to-five job now, but I do work almost every day and I try to keep to a schedule. And I think that’s about the only way that I can get anything done. I’m not a splurgeist, I am a a scheduled-time-to-write person. You mentioned that you start with dialogues, so then you flesh it out from there in your first draft? Yes. And my first draft is really ugly. I will be the first to admit it. I don’t show my first draft to anybody but my husband and…he’s my sounding board, actually, which is really nice, to have somebody who knows your work as much as you do, and the characters, so that you can talk things over. But I don’t show that to my my editor until I’m at least on my second or third draft because they are so ugly. My first drafts have holes in them and some logic issues. The whole point of a first draft for me is to find out where you’re going and what you end up at. And then you go back and you make it work. It’s kind of like, going back to the art, it’s sort of like having the clay, you roughly shape it out the first time and then you go in and you put in the details. You mentioned your husband being a sounding board. Do you, at some point, do you use beta readers or anything like that like some writers do? No, I do not. And I don’t know if that’s…you know, a lot of people do. But I have just never been comfortable with it. I don’t either, so I’m glad that somebody else doesn’t. Yeah, my editor is usually the first professional who sees it and I’m…I don’t want to say I’m particular about my editors but I have to trust them implicitly, and so, if it’s a bad fit, it goes sour really fast because if I don’t trust their judgment, you know, it’s like, “Why should I make this change?” You know, I have a little bit of a stubborn streak. But if I trust their judgment it’s like, “I will do it even if I don’t understand why because I trust your judgment.” And if it’s a good fit and they know where I’m going and we’re coming from the same place, it works. You know, I really enjoy working with an editor that I trust. And, since you have worked with a number of different publishers, you must have worked with a number of different editors over the years. I have. Probably fewer than most, though. I find somebody I like and I don’t want to go anywhere. I enjoy working…I enjoy feeling like I’m a part of a team even though I’m not involved a lot in in many of the decisions abut how a book is marketed and published and placed. But I enjoy feeling like I’m a part of a team, and my job is to present a product that can be tailored to an editor’s…what an editor sees can be marketable. And, you know, sometimes it works and sometimes it doesn’t. But, yeah, I do enjoy working with my editors. What kind of feedback do you get from editors, as in, is there a recurring theme in the sorts of things that you find yourself working on in the editorial pass? I know, for me there’s certain things that…well, of course, have basically only worked with, on the big publisher side, DAW Books, it’s been Sheila Gilbert the entire time. And I already…and everybody that’s edited by Sheila says the same thing, it’s that you get to the point where you’re saying, “Sheila is going to say something about that.” And sure enough, Sheila says something about that. I’ve never run into that before! Do you find that there’s certain things that you’re always getting asked to work on in the editorial revision? I get asked a lot to put in more physical characteristics, and I think that’s just because I see people by how they act rather than what they look like. So, I have really had to work hard at describing people more. You know, I can describe them well but then I don’t…if I don’t remind myself I don’t remind the reader of what they look like throughout the book. And I hear that a lot. Other than that, it’s mostly…mostly I get a lot of questions on, “Can you clarify how this magic system works?” or “Can you flesh out the world a little bit more?” or it might be, “This reaction doesn’t wash with me. You either need to fix it or change the reaction or go back and add some more stuff so I understand why it happened.” Stuff like that. But good editors have seen a lot of stories and they know what works and they know what doesn’t and they know where you need to kick things up a bit. Yes. I have run in…most of my editors have been really good but occasionally you might run into one who doesn’t read your work thoroughly enough, and they’ll…I had one editor wipe out the first three pages of almost every chapter and then say, “I need more detail on this this and this.” And it was…and that’s what was in the first three pages! But I had wedged it in so carefully that she skimmed right over it. But that’s rare. I think most of the time editors really care about what they’re doing and they buy your work because they like it and they want…and they see a way to make it better. And they see a place where it can be sold. So if…my advice is, if an editor tells you to change something, unless it’s something that, you know, clearly they missed, change it. Do it. See if…it might work better. You can always change it back. I like what you said about being part of a team because although as writers we work very independently and on our own for much of the time, once it gets up to the publication level you are part of a team and it’s becomes more of a collaborative thing. That final book has gone through, you know, copyeditors and…the editors and the copyeditors and there’s cover art and there’s blurb writing and there’s all these things that come together to actually make the book when it actually hits the shelf. And I think if an author feels like they’re part of the process, not just giving them a manuscript and doing a copyedit and page proofs but really part of the process of helping to design the cover, and…the worst covers I’ve ever done are the ones that I’ve tried to design. So, you know, the author is not the person to design the cover but input, a little input, makes you feel involved and the more involved the author is in those later stages of the book, I think the more they’re willing to help push it through their own…like Facebook and Twitter and their…their outreaches to the readers. 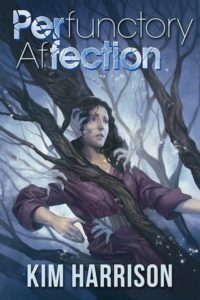 And speaking of readers, you’ve already mentioned that some of the feedback from readers had you take another look at the relationship in the Hollows books and you are a, you know, very widely read author, do you get a lot of feedback from your readers, and how does that impact what you do going forward? I listen to them because sometimes they see things before I do. Sometimes they see things that…a more interesting path than I normally would. I’m in touch with my readers a lot. I’m pretty active on my Facebook and my Twitter, Instagram not so much but I’ve got an account, and it works for me. They often come to me with questions. Rarely do they come to me with suggestions but their questions lead me to think about, “Well, maybe what if?” And that’s that’s what an author always wants to be doing, is saying, “Well, what if?” And to me, the editing, the changing, you know, once you get that first draft done, that’s the hard part. The fun part is tweaking it and tailoring it and seeing what would happen if they go through this door instead of that or they pick up the stray dog, you know, that kind of thing. And I…going back to the idea of teamwork, ultimately a book is collaborative not just with the people who produce it, but also also with the people who read it. It doesn’t exist, in a way, until somebody reads it and what they get out of it may be quite different from what you thought you were putting in there but clearly because they got it out of there it’s in there somewhere. Yeah, it’s in there whether you meant it to be or not. There’s a story about Isaac Asimov, whom you mentioned, I think it was in one of his biographical books, Opus 100 or Opus 200 or Opus 300, I think he went that far, where he mentioned to being in a classroom in a university where they were teaching his classic story “Nightfall,” and he listened to the professor talk about it and then afterwards he went up to him, and he said, “that was very interesting but I’m Isaac Asimov and I wrote that story and I didn’t put any of that stuff in there.” And the professor said, “Well, I’m very glad to meet you but what makes you think that, just because you wrote it, you know what’s in there?” I’ve kept that in the back of my head for thirty, forty years now. Yeah, that works, that really…that’s right. Well, let’s talk a bit about the big philosophical questions here. Why do you write, do you think, after all these years, and why do you keep doing it, and specifically why do you write this kind of stuff? I write to keep from going insane. I get that a lot from authors. Yeah, yeah. I think we’re all different but we’re all of a type. It’s…writing is a way for me to get a grip on reality, of what’s going on around me. I don’t want to say that I have a bad life, because I have a wonderful life, but life is full of ups and downs and minor, you know, personal tragedies. And writing helps me work through it and find a way to deal with it. I like puzzles and exploring how things fit together, and that’s what writing is to me. A lot of it is seeing, you know, you start with all these pieces and this is what you want. Well, how do you put them together to get there? And it’s just…it’s a way for me to relax, if I may say so. This is…I’m an introvert, so I need a lot of personal time, and this is the way I can do that and pay the bills. Lucky me, lucky, lucky me! And it’s an escape. You know, people read to escape. Well, I write to escape, and it’s a healthy escape. And there’s nothing wrong with that. And why science fiction and fantasy? Why science fiction and fantasy. Yeah, I forgot that part, didn’t I? Probably because that’s what I read growing up, and it’s tied to emotions and good feelings and there’s probably some endorphins going on in there, too–the mind’s a wonderful thing. But that’s probably why. It’s what I like to read so it’s what I like to write. I think it’s that simple. In the case of Perfunctory Affection, if you read it in one way, it’s not just science fiction or fantasy at all. No, no it isn’t. It is not. And that is why I really enjoyed writing it. I had just finished…well, I thought I had just finished the Hollows series and I needed something to cleanse my palate, and Perfunctory Affection was an idea that I wanted to work on for a long time and hadn’t been able to. So, I just dived right into it. And it came out to be a weird length, it’s like 68,000 words, which is about half of what I usually write…well, actually, it’s maybe a third of what I usually write for a book. But I couldn’t bear the thought of padding it to make it a full novel because it needed to be slim and trim and the way it is. I don’t really want to think about what was going on in my head or my life at the time that I wrote it because this kind of scary, but, no, it is not fantasy. It is not science fiction. I think I’d call it a psychological thriller, maybe? Yeah, I think that would fit. I mean, it has a science element to it. So, in a way it’s science fiction because it has science in it and it’s fiction. But still, I don’t think I would call it that. And then with Haley and Rory, I don’t know, that might be fantasy. It is if you read it one way, yeah. Yes, it is. Yeah. Yeah. So, if it can be read multiple ways I think I’ve done my job. Sixty-eight thousand is kind of a young adult length. That’s the length of some young adult books that I wrote, and you have written young adult, haven’t you? I have. Oh, I forgot about those. Yes. I wrote those under Kim Harrison. Again, I think they’re urban fantasy although they don’t deal with vampires. They deal with the grim reaper and angels and that might be urban fantasy-ish. I think I’d still call it that. What do you find different writing for young adults and adults? Not a whole lot. My young adults tend to be, like, 16 to 20, maybe. And the biggest thing that I keep in mind when I sit down is that, aside from including a parent figure in there, that the odds are higher. I think most young adults feel like they don’t have any resources compared to an adult. And…when the truth of the matter is that they’ve got tons of resources, they’ve got friends, they’ve got, you know, they’ve got their own internal power, their strength, their courage, you know, they’ve got tons and tons of of resources, they just don’t realize it. And the fun part about young adult is being able to show a character who feels like they don’t have these resources in order to surmount whatever they need to, and then showing how, yes, you do, and how they grow into it, so to speak. But young adult is where I first started reading,and I love writing young adult, it’s just…I don’t know. The adult issues I guess come up more often, or more easier perhaps, in the adult stuff, and I think for me it’s harder for me to write a young adult and put those adult issues in it, like a lot of authors do. I kind of like to keep my young adult something that I wouldn’t mind my grandma reading, so to speak. 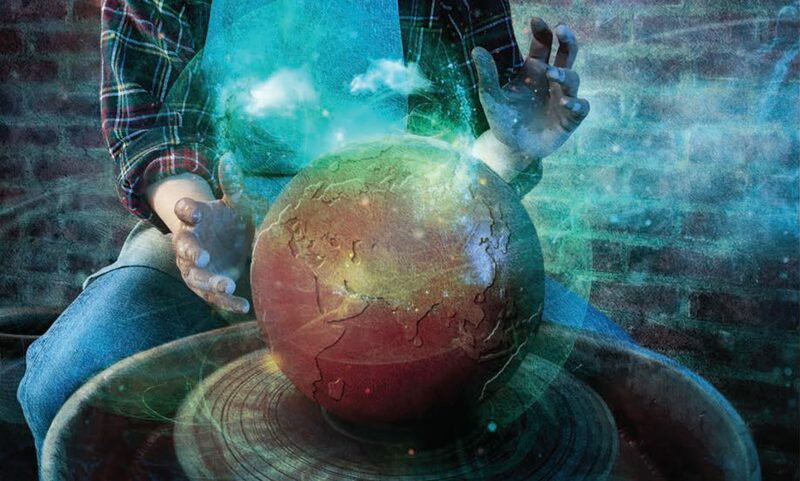 So, we’ve talked about readers and so I guess the other…this whole podcast is called The Worldshapers. Do you hope through your writing that you are shaping…I know, shaping the real world might be a bit grand…but ate least shaping readers in some way, reaching into them and changing them a little bit? Yes. And I have. I have gotten the feeling that I have changed…I don’t want to say I’ve changed people’s lives…people have read my work and changed their lives in certain instances. I’ve toured for a while, and one of the fun things is, I had a couple come up to me at one of my events and they told me that they met in line two years ago or last year and now they’re a couple. I mean, that’s cool in itself! My favorite story is, a reader came up to me and told me a story that he was in a coffee shop and he saw somebody reading one of my books across the way. And he looked at the woman and he made a bunny-eared kiss-kiss, which is basically a peace sign where you crook your fingers twice in quick succession, and his friend said, “Do you know that woman?” And the woman, you know, across the way, crooked her fingers and did the same thing back, and the guy said, “No, it’s a book thing, it’s a Hollows thing.” And to be able to know that you have impacted the world enough that two people who don’t know each other and share a moment across the coffee shop, you know, that’s heady stuff. We’re just about out of time here. So, tell me what you’re working on now. What comes next? I am actually working on American Demon. It is the next Hollows book, with Rachel and Trent. It picks up after the last book but before the epilogue in the last book. So I’ve wedged it in. I hope the readers will be pleased with it. I’m also working on a something completely out of my wheelhouse. It’s more of a hero’s journey. And I don’t really want to say much more than that but it’s not in the Hollows, it’s something else. But I’ve been enjoying being able to write on a multitude of subjects, which is something that, once you get kind of name brand into a genre, that you don’t often get a chance to do, so I’ve just been enjoying writing whatever I feel like. But American Demon is the thing that’s on my plate right now. And Perfunctory Affection just came out. It will be out on the March 31. Ok, yes, so it just came out. And it’s from Subterranean Press, right? Yes, it is. And this one is a little special. They are all signed and numbered, which is something new for me. Usually I have a small print run that’s signed and numbered. It is a small print run, but this is it. There is an audio version that will come out and I believe the e-book will come out at some point. But if you want to get a hold of this, it’s…you can get it through Amazon, but Subterranean Press is the publisher and they’re all signed and numbered. Oh, I feel I feel fortunate to have had an advance reader copy. There weren’t very many of them, no! And where can people find you online? They can find me at my Web site, kimharrison.net. I’m also on Facebook and Twitter @BurningBuddies. Okay! Well, thank you so much for being on The Worldshapers! Well, thank you! This has been a fabulous interview.